Looking for a courier or hot shot? Do you have an immediate need to send a shipment across town, or to another city and need it picked up and delivered today? Look no further. Optimum Drivers is here to serve your need. Whether it is a piece of equipment, a part, documents, prescription or a commercial shipment.,we can handle. 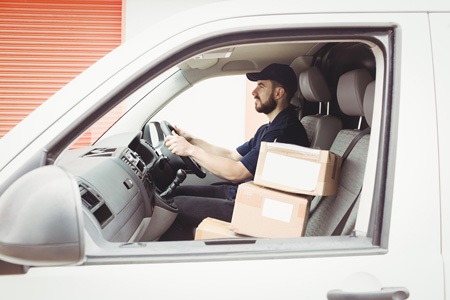 When it comes to small package deliveries we offer a unique transportation idea that combines the courier and hot shot concepts to meet your transportation needs. If it's urgent we are your number one choice. Licensed to move LTL and Truck Loads through our freight brokerage division. The majority of companies in the delivery business offer what is commonly referred to as an overnight service. Once your shipment is picked up it goes to a warehouse where it is sorted before it is then delivered to its final destination a day or more later. However, there has been a growing need for faster service. This has given rise to the Hot Shot business. This type of delivery service is usually very expensive and out of reach for the ordinary client. Optimum Drivers, LLC came into existence to serve a growing niche of customers who want their small packages picked up and delivered as soon as possible, and for a minimal charge. Simply put, we pick up and deliver on the same day at affordable prices.